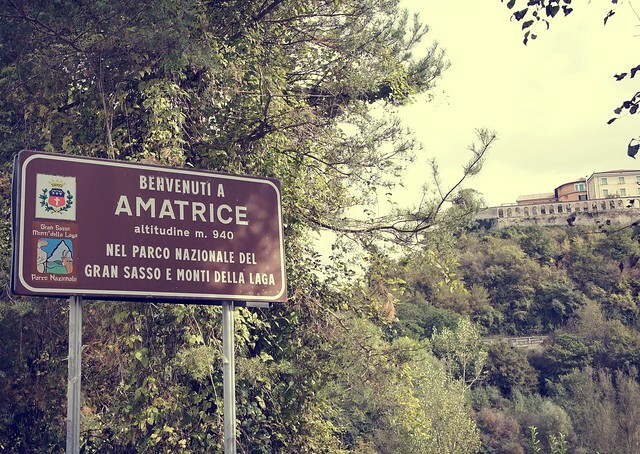 Two of Rome’s classic (and ubiquitous) pasta dishes hail from Amatrice, the tiny mountain town perched in the Apennine peaks between Lazio and neighboring Abruzzo, and home to centuries of semi-nomadic shepherds. Both Pasta alla Gricia (quite possibly from Grisciano, a hamlet near Amatrice) and Pasta all’Amatriciana reflect this rustic, Alpine culture in the extreme simplicity of their ingredients, limited almost exclusively to guanciale (an intensely flavorful cut of cured pork jowl) and Pecorino Romano (a sharp aged sheep cheese), which could be carried in a shepherd’s pack during the long months following the migration of his flocks. The preparation of these dishes is equally simple. Pasta (most commonly a long, spaghetti-like pasta which is hollow in the middle called bucatini) is cooked al dente, then tossed with thin ribbons of guanciale sautéed in a bit of olive oil (or pork fat, for the purist) and finished with a twist of freshly grated black pepper and a light dusting of tangy Pecorino. Tweetable: Two of Rome’s most iconic dishes are separated by one thing: the discovery of America. So what separates these two dishes? L’America. Yes, the New World, and with it the revolutionary tomato. Whereas the older Pasta alla Gricia goes no further than guanciale and Pecorino, its younger cousin Pasta All’Amatriciana introduces the newly arrived tomato into the equation, tossing pasta with a simple red sauce flavored with guanciale and black pepper and topped with Pecorino. 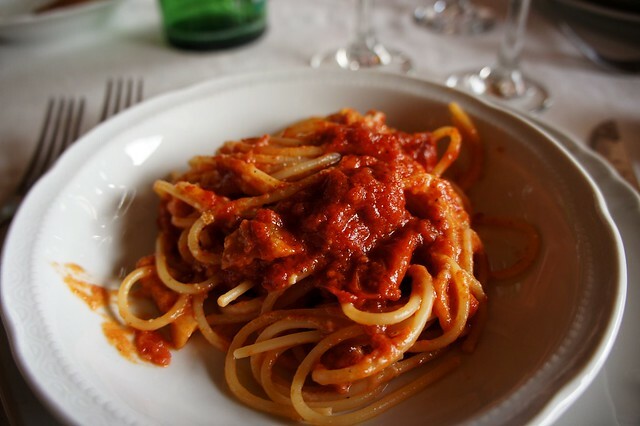 La Gricia is sometimes called L’Amatriciana in Bianco (White Amatriciana), reflecting the common root of these two iconic dishes, and Romans are rigorous in their insistence on guanciale (not pancetta!) and Pecorino (not Parmigiano!). Indeed, entire evenings can be dedicated to the discussion of whether the correct Pecorino is Romano or, of course, the less salty Pecorino from the Amatrice hills. 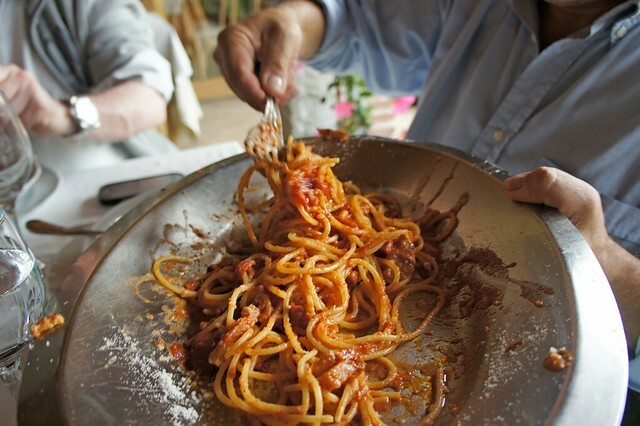 Be it L’Amatriciana or L’Amatriciana in Bianco, we can all agree that sometimes simple is best!